Note: Y'all are in for a treat today. And no, I'm not just saying that. Ashley of Bright and Gutsy is taking over the blog with a topic that I know for a fact I could not write on as beautifully and wisely as she did. Growing up, I had the self-confidence of a startled turtle and I find myself turning back to that as a defense mechanism. And as you'll read, I think it's something we all struggle with. Read it for yourself, okay? It's a good one, I tell ya. One word that began a wrestle in me over a decade ago. 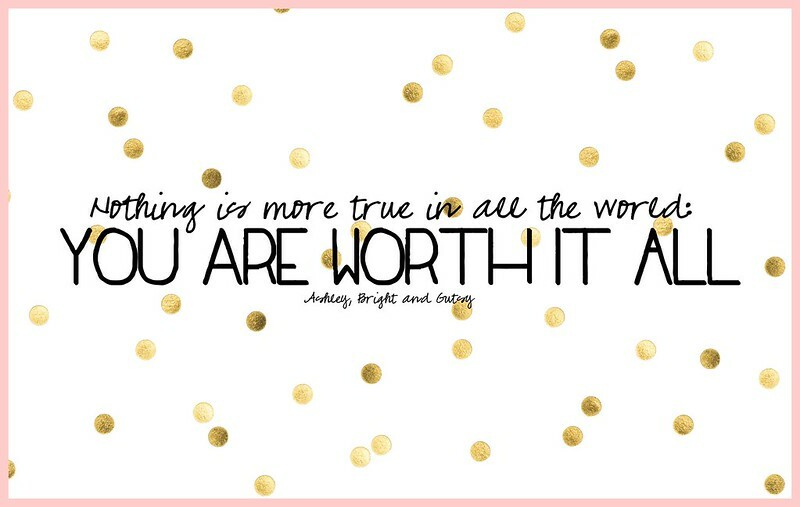 It is like for some of us somewhere along the line maybe someone takes from our worth or something somewhere gets on a pedestal in our life and says, I don’t know who you think you are. Maybe it is found in between the pauses of an angry parent or in the shameful morning after abuse or amidst the tears of broken relationships. Suddenly the lines begin to blur and what they started, we continue. It is so seamless and so quick that you don’t even realize it until you wake up to worth. I will never forget the first time He told me He loved me and I will not forget the first time He told me He liked me. I will not forget what it sounded like when He told me I was worth it and what happened to the beat of my heart when He let me know that even if I played with fire every day, He’d still love me, still want me, still hold me. Like He took what I thought I was worth and replaced it with His. He replaced my worth with what He is worth. Worth all the Father’s love. All the Father’s affection. All the Father’s attention. All the Father’s devotion. Worth all the Father’s inheritance. All the Father’s goodness. All the Father’s blessing. All the Father’s peace. All the Father’s singing. It uproots anything that says that worth is anchored on the past or lifestyle or relationships or status and it shouts from the rooftops that worth is only anchored in Him who loves. And I feel like that is something I can stand on. I can build my life on His worth. To think He gave it to me for free; it leaves my heart so undone, unlocking every chain and snipping every rope, setting me free. Even today as I gaze upon the landscape of my life and see expressions of unworthiness, I am encouraged to lean in closer to Him. He knows. He knows more than I know and sometimes when I am going throughout my day, I can see Him. When I am trying to make my bed, it is like I can see Him running under my covers just to make me giggle. When I go to process my day and the inner critic rises up in me, it is like I can hear Him telling it to hush taking me into an embrace. When I am meeting a friend for coffee, it is like His voice is beside me at that table singing to me that accepted is already my nature. When I am brushing my hair and putting on my make-up, it is like I can see Him in my mirror letting me know that I never looked more beautiful. He did not give me His worth and then tell me I needed to figure it out on my own but He gave me His worth so that every day He can unravel and reveal it more. Sometimes like a fire, sometimes like a wind, sometimes, like the rain, but sometimes just as a whisper He comes. And even now I know that our eyes are opening wide to see Him. Nothing is more true in all the world. 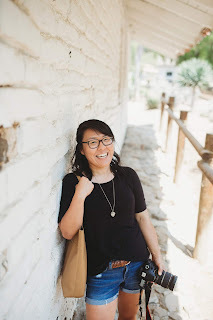 You can connect with Ashley on her blog, on her latest adventure at Bright and Gutsy Society, and on Twitter, Facebook, Pinterest, and Instagram.